Upgrade your current wheelchair with a comfortable and supportive headrest. The universal wheelchair headrest is designed to help aid the posture and comfort of the wheelchair user. Suitable for most wheelchairs with push handles up to 1 inch diameter. 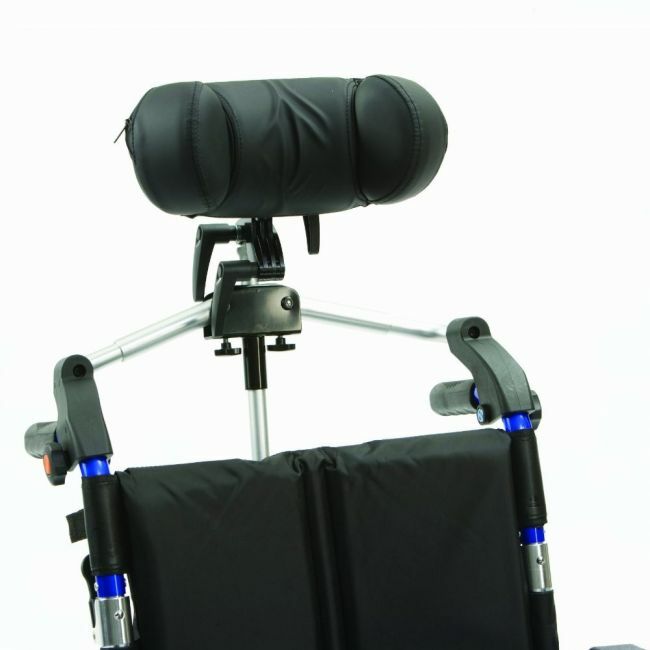 This wheelchair accessory features height, width and angle adjustment and an adjustable padded headrest cushion.